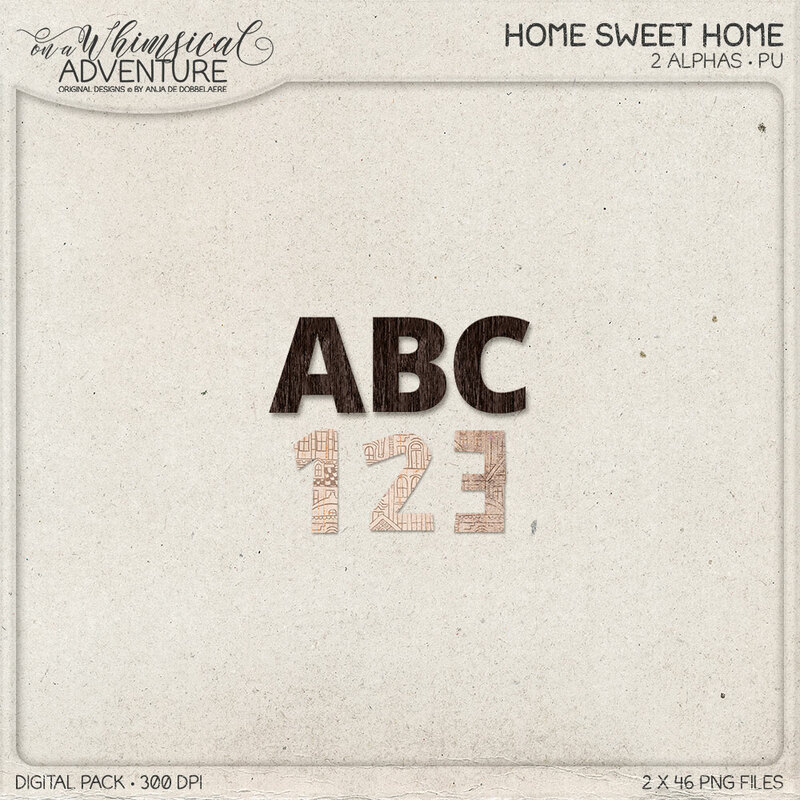 Home Sweet Home Alpha - 2 complete alphas, each alpha has 46 PNG files; all files are 300 DPI. 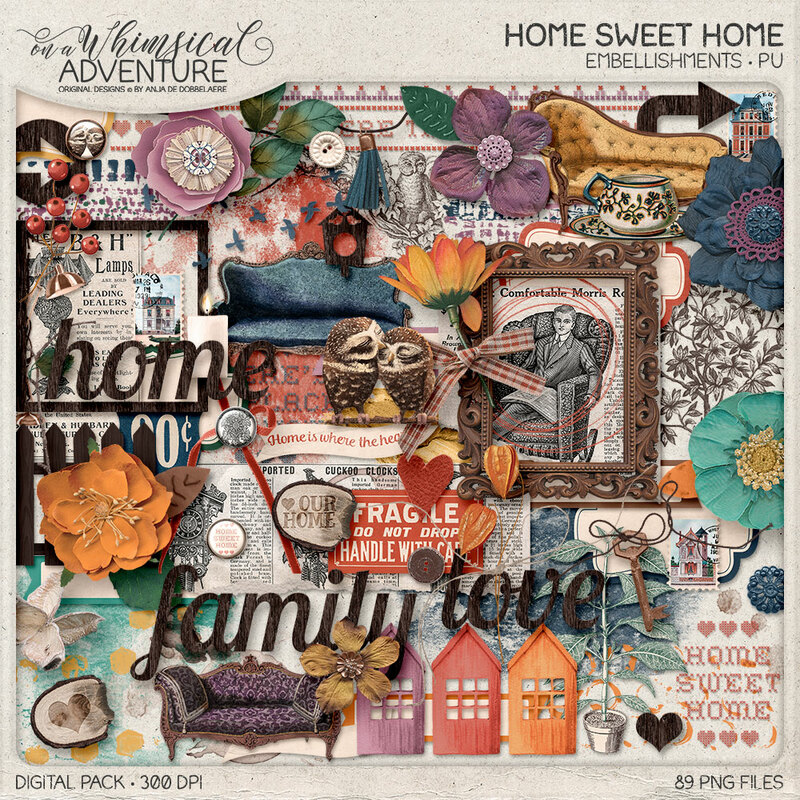 Home Sweet Home Embellishments - 89 PNG files (some embellishments come in multiple versions), including: 2 arrows, 1 banner with word art (+ blank version), 1 berry branch, 1 bird house, 1 flock of birds, 3 brads, 2 branches, 3 buttons, 1 candle, 2 coffee stains, 3 pieces of 'embroidered' word art, 5 pieces of ephemera, 1 fence, 7 flowers, 3 pieces of foliage, 2 frames, 2 hearts, 1 row of houses, 1 key, 2 decorative labels (each label comes in 4 different versions), 1 lamp, 4 leaves, 1 owl couple, 1 owl stamp, 8 paints, 1 plant, 3 postage stamps, 2 ribbons, 1 scribble, 3 sofas, 1 stitching, 2 strings, 1 tassel, 1 teacup, 2 tea stains, 1 tree stamp, 2 wood slices, 3 large pieces of word art. 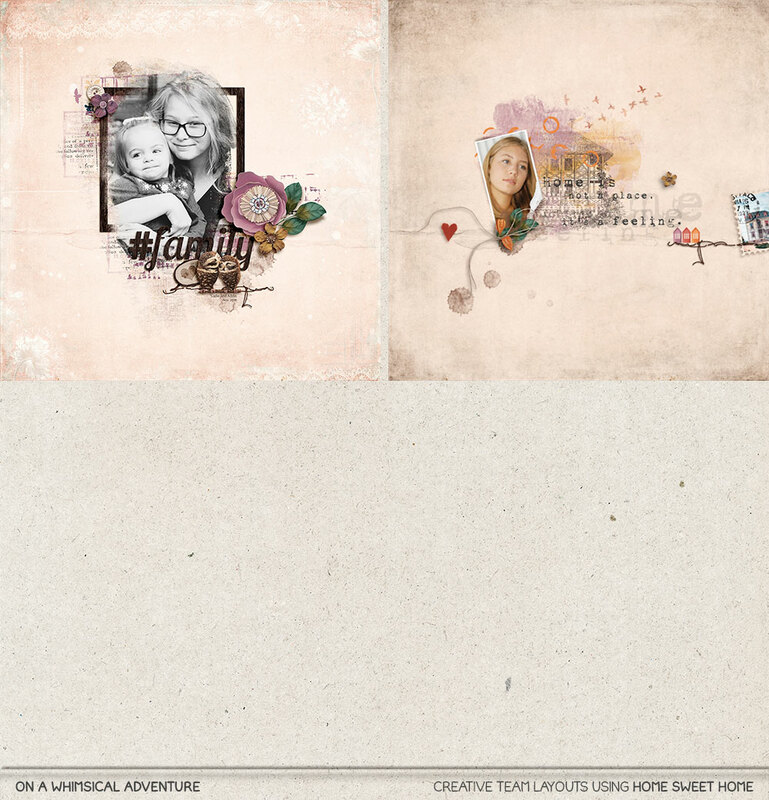 All files are 300 DPI. 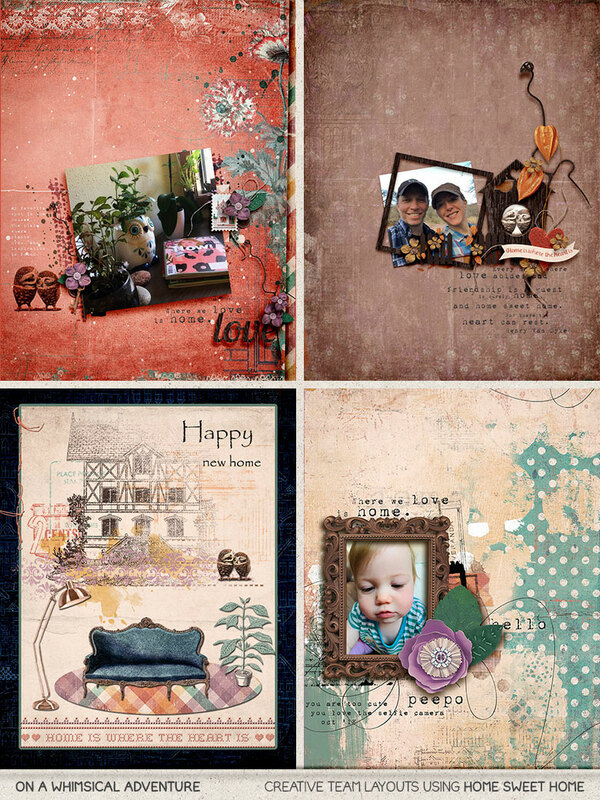 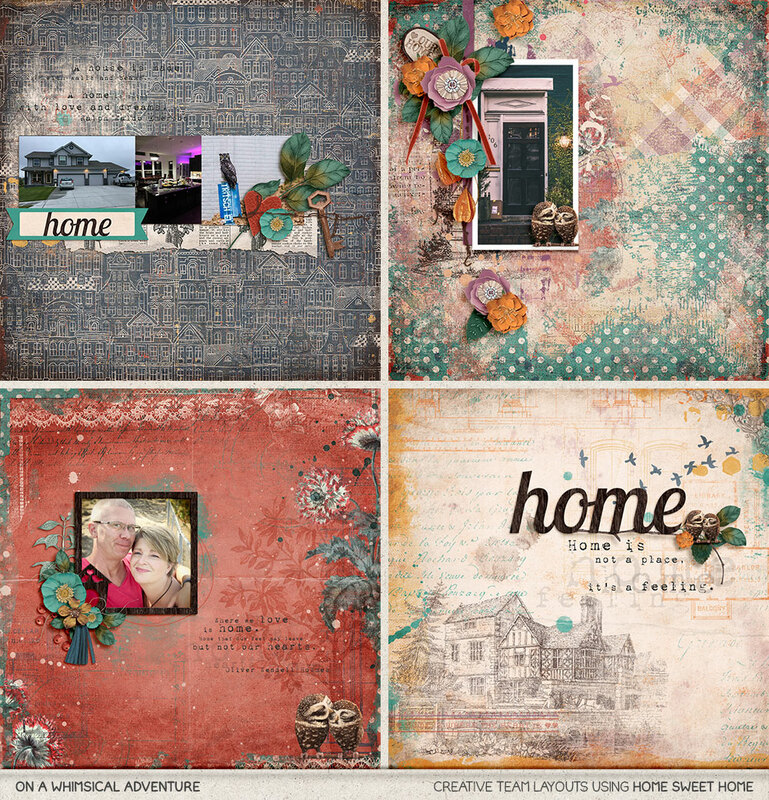 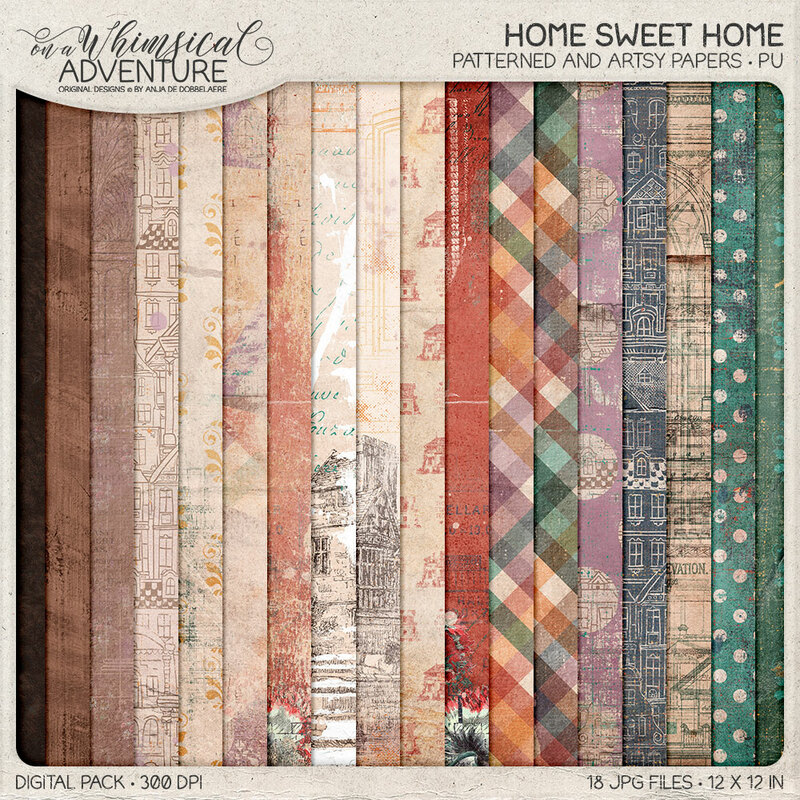 Home Sweet Home Patterned and Artsy Papers - 18 JPG files, 12 x 12 in, 300 DPI. 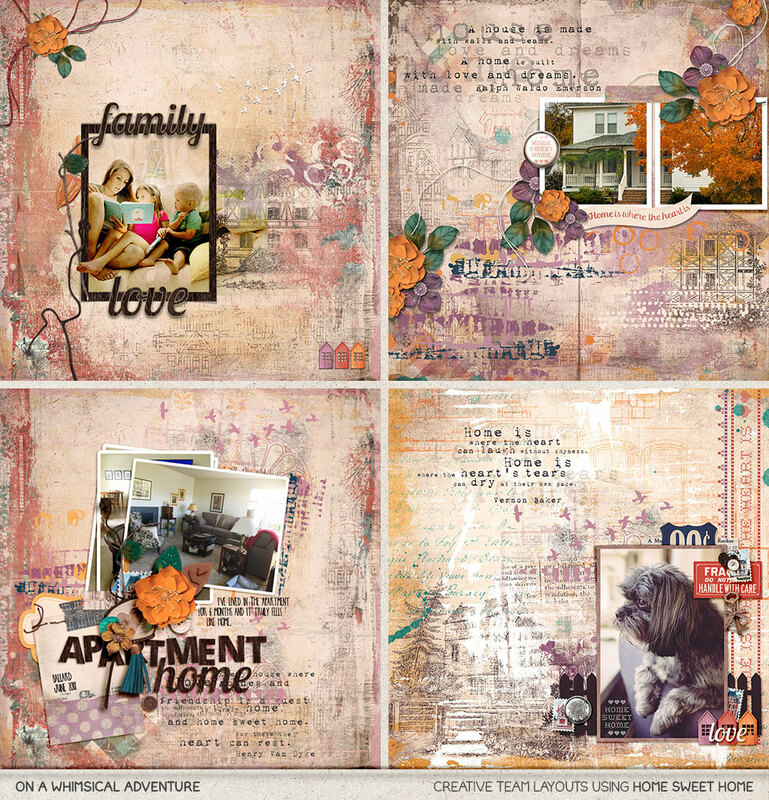 Home Sweet Home Solid Papers - 12 JPG files, 12 x 12 in, 300 DPI.